ELECTRO Tech Engineering, Inc. is an integrated resource design firm available to clients seeking to benefit from modern electrical technology through systems optimized for their particular business or application. Whether you are designing an entirely new facility, need to get the most out of an existing one or perhaps, may be having issues with your current system, we can provide the tools and knowledge to deliver practical, cost effective electrical solutions to you or your project. Our electrical design service is geared to providing you with the best components and specifications for your application. No matter if it’s lighting, motor controls, automation, power apparatus, fire alarm wire and cable, generation, relays or other specialized systems; we either have what’s needed or know where to find the right tool to get your job done. Contact us about your Electrical Engineering Requirements! POWER DISTRIBUTION – almost all electrical designs start with finding the best most efficient and cost effective method of distribution. LIGHTING DESIGN – energy efficient and pleasing to the eye lighting will enhance the esthetics and functionality of any project. Lighting design also includes local building code required Life Safety lighting. POWER GENERATION – takes many forms in depending on the project requirements which may include solar energy, standby generator, on site co-generation, hydro electric generation, wind energy and more. AUTOMATION SYSTEMS – include a wide variety of components, instrumentation and programming to achieve automatic control and monitoring of a process. These include components such as Programmable Logic Controller (PLC), System Control And Data Actuation (SCADA), and others. ARC FLASH STUDY – Occupational Safety Health Administration (OSHA) mandates electrical safety in the work place. To comply, owners of electrical equipment must quantitatively identify potential hazards in plant electrical apparatus, post these results and provide means to avoid contact with these hazards. The first step in this process is The Arc Flash Study whose purpose is to identify and quantify the hazards. DATA & TELECOMUNICATIONS – include all forms of modern voice, data and video whether linked over conventional copper, fiber optic or over the air telemetry. FIRE ALARM – fire alarm designs include addressable or conventional systems; central station or stand alone; building code required or voluntary; some include supervision of a suppression system such as sprinkler. AUDIO & LOW VOLTAGE SYSTEMS – these designs include audio systems such as public address, stage sound, intercom, and the like. Facility access control, monitoring and building automation are other aspect of this technology. BUILDING INFORMATION MODELING (BIM) – a contemporary 3D software tool used in design and through the life of a building covering more than just the geometry of a facility. It can also include spatial relationships, light analysis, geographic information, quantities and properties of building components (for example, manufacturers’ details). Services offered roll into an endless list of applications working with clients and other design professionals to achieve optimal solutions. COMMERCIAL – electrical design for applications such as: education, office, hotel, retail, apartment, etc. 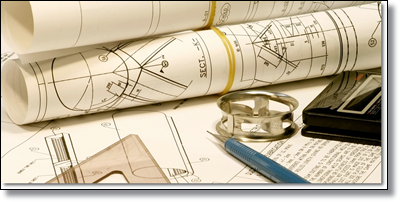 INDUSTRIAL – electrical design including: manufacturing, agricultural municipal, mining, etc. WATER – drinking or irrigation water designs: control of pump motors, valve actuators, tank levels, etc. measurement of temperature, pressure, flow rate, volume, etc. treatment – chlorination, arsenic or nitrate removal, etc. WASTE WATER – design of water treatment for reuse or discharge: lagoon or mechanical, etc. STUDIES – retaining us for investigations of various types can help clients get to the bottom of underlying problems or issues with their electrical systems. Examples include over current coordination, arc flash hazard, energy efficiency, forensic invistigation, and others.